The Relaxed Straight Texture featured in our Bounce Collection gives you the look of very healthy permed or pressed hair without the damage. 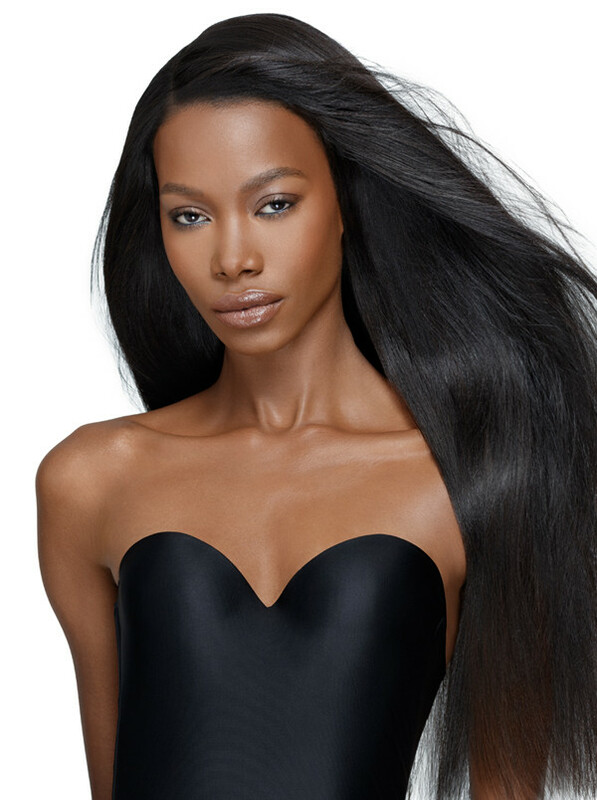 This texture is perfect for women who want to blend their straight textured hair with extensions. It is also a texture that requires minimal to nearly no styling to achieve a sleek look that's versatile enough to be curled or even colored. This hair can be altered in any way you see fit, from Big Wand Curls to a smooth sleek ponytail you can do anything you desire with this texture. This texture was steamed to achieve the look so this just makes the hair low luster which requires just a little more moisture, so for daily styling, I would recommend a lightweight moisturizer like a liquid Leave-In Conditioner and your favorite oil to seal those ends to minimize any shedding or breakage. We recommend Indique Hair Care Essentials Shampoo & Conditioner to maintain the longevity of the hair.